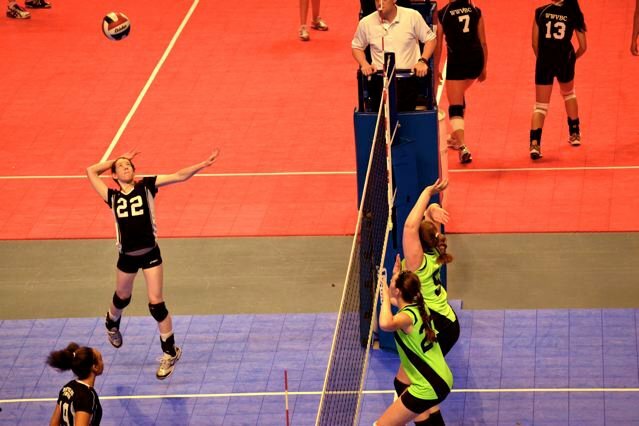 Most girls do not come back to play for their club teams as 18 & unders during their senior year of high school. Clubs that routinely run 3-6 teams of 15, 16, and 17 year olds often run only 1 or 2 teams of 18s because many girls who are not planning to play for their colleges close out their club careers in 11th grade. Why? 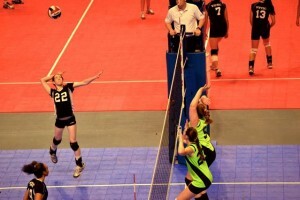 The biggest reason is that the club season is difficult to balance with senior year commitments and events, and the tournament schedule runs right up to, or even beyond, graduation. 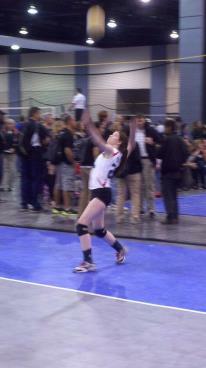 My own daughter loves volleyball above any other sport or activity she has ever tried. But she has also thrived in 3 years of high school drama courses, and she has never been able to go out for one of her school’s shows. After her high school volleyball season ends next November, she plans to focus on drama (along, of course, with school, college applications & decisions, and being a senior) for the rest of the year without the commitment of 3 volleyball practices per week, local single-day tournaments every 2-3 weeks, and 4-6 multi-day tournaments requiring overnight travel. So she is 95% sure this is her final year of club and right now she is comfortable with the feeling that it is time to walk away. Looking young at 14–3 quick years ago. 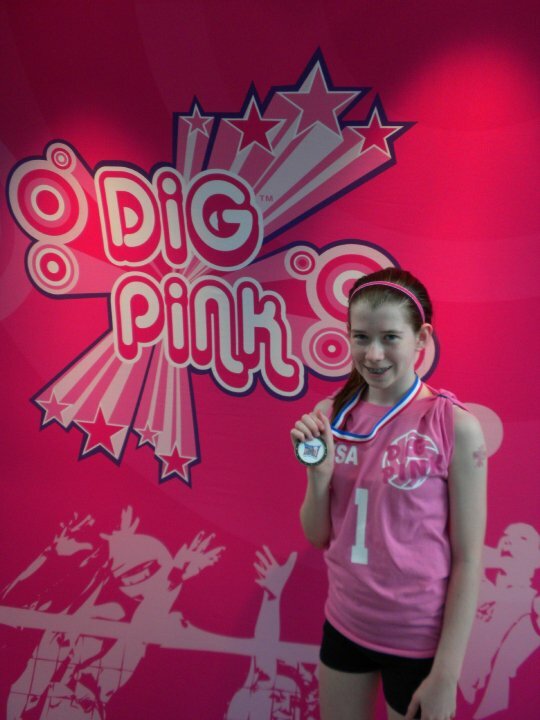 As I watched her matches in Richmond, I thought about how much her volleyball career has meant to my daughter…and to me. As a former high school volleyball coach, I was fortunate to be able to coach her teams for her first few years of club. And now, long after I sent my favorite player on to play for other coaches, I still regularly remind her that I will always be her biggest fan…and critic. But these days I (usually) wait for her to ask for my feedback or instruction. We both understand that they aren’t our matches anymore–they are hers. So I savored this year’s January tournament, and I thought about how we are headed into a season of likely ‘lasts.’ Good times, challenges, and even disappointments have added up to a great ride for both of us since she was 10. It’s true that I am very much aware that there are far fewer of these days ahead than behind. But even though it is almost time to turn the page, we’re not quite there yet.